Directors can help management make the tough decisions. 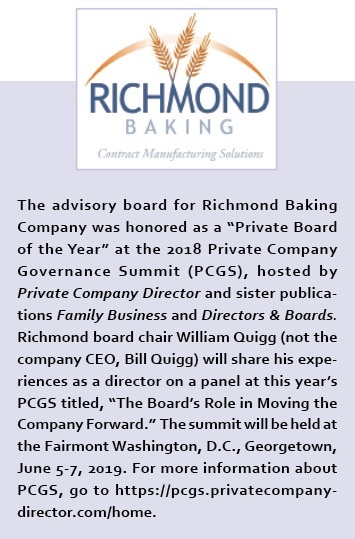 An advisory board helped Bill Quigg, the fourth-generation CEO of Richmond Baking Company, make difficult strategic decisions in the last several years, including shuttering two struggling factories, one that his late father had long refused to close down. 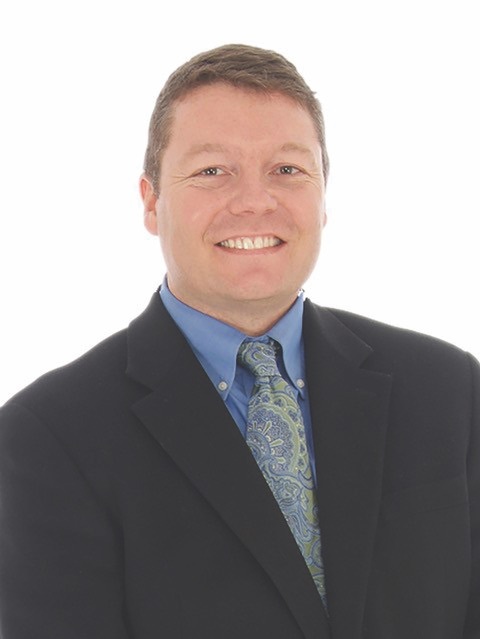 Quigg’s father, Jim Quigg, founded an advisory board more than a decade ago to support the 117-year-old cookie and cracker baking company based in Richmond, Ind., with operations there and in Alma, Ga. When Jim was president, he was open to and grateful for the board’s guidance, but, as owner, his decisions were final. Unlike his father, however, Quigg was more open to guidance from the board. 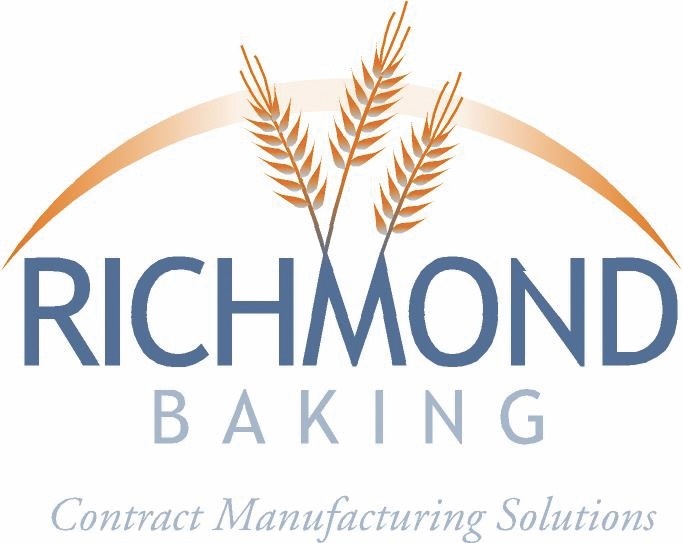 In 2001, the company under the direction of Quigg launched Oregon Bakery in 2001, a year before he became president. By 2010, he found himself stretched thin, especially having to travel to keep tabs on Richmond’s only West Coast facility. To deal with this challenge, Quigg turned to the boardroom. He asked the board of directors to fly to Oregon to see the operations and in the end, the board encouraged him to close the bakery. Turns out, the directors were not only catalysts but also consolers. After Quigg’s father died in 2016, the board helped him not only guide the company’s strategy, but also how to cope with the loss of his father. Thanks to the board’s support, Quigg says he was able to get his bearings and begin building his own legacy. That meant he had to revisit the long-beleaguered Georgia facility. At the urging of the board, he set up metrics the facility needed to meet in order to stay open, and directors pushed him to be more accountable, following up on the results. After looking at the numbers, advisory board member Barry MacDowell told Quigg, “Your dad was an incredibly smart and brilliant man, he looked at situation at the time and said no. But maybe in the current situation he would have looked at it differently.” The Georgia facility will close in September. MacDowell and Quigg’s father had served on banking and healthcare boards together and MacDowell is one of Richmond’s original board members. The MacDowells and Quiggs are also family friends and MacDowell says he very supportive of Quigg’s leadership. MacDowell, who has experience on nonprofit boards in addition to public and private boards, advisory and fiduciary, sees both parallels and diversions in the role of directors. “I think family business/private boards demand an even higher level of trust,” he maintains. “One of the things with a private company board,” he continues, “we serve at the pleasure of the owners. We don’t have a legal, fiduciary standpoint, it’s a moral interest. While Quigg appreciates the advisory board’s input on salaries, strategic planning and the addition of new directors, there are no plans to move from a non-binding advisory board to a fiduciary one legally responsible for protecting shareholders through their votes.